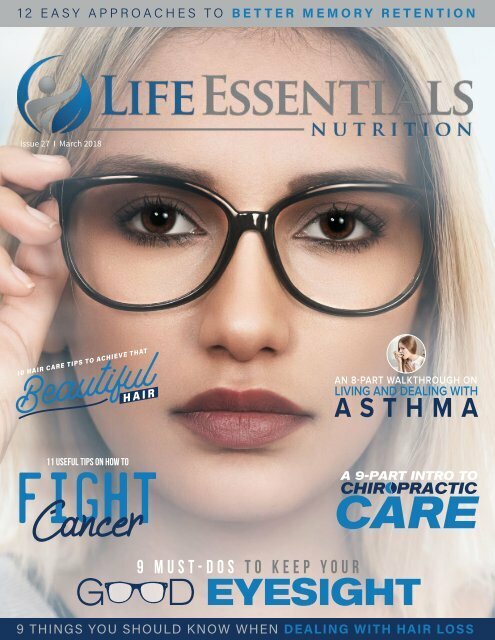 In the March 2018 issue of Life Essentials Magazine, learn about fighting cancer, living a fit and healthier life, achieving better sleep, and more. We hope you enjoyed the winter season, as it heads towards a close. With spring on the way, so too comes spring cleaning - and in more ways than just tidying up the house.